We all know that there's a VERY important football game coming up, and us healthy eaters need to be prepared to battle the bulge once again! Eating healthy, dairy-free snacks is one easy step to winning the war! 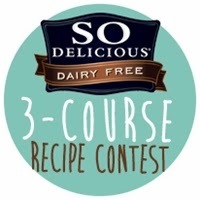 Going dairy-free is easy with help from www.godairyfree.org and products from So Delicious. They've teamed up for a great 3-course recipe contest and this is one of my Appetizer entries! Go to the recipe page! 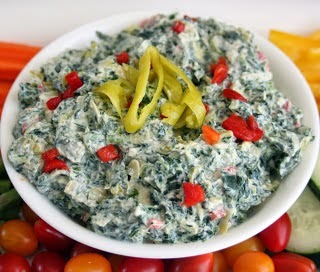 Spinach dip has ALWAYS been one of my major weaknesses at gatherings. So today, I'm sharing a SAFE and healthy alternative with some So Delicious Greek Style Cultured Coconut Milk. 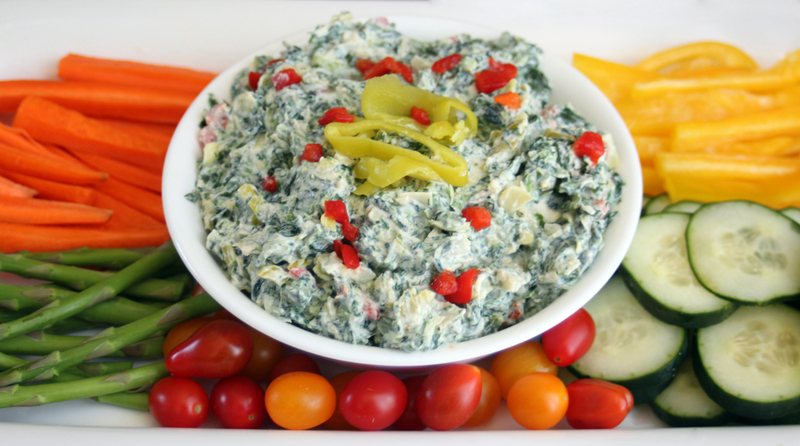 It adds all the rich, creamy texture you need in a Spinach Dip and adds a boost of wonderful flavor! In a large mixing bowl, combine the So Delicious Greek Style Cultured Coconut Milk, spinach, scallions, artichoke hearts, red peppers, pepperoncinis, pressed garlic and fresh dill. Stir well to combine. Season with salt and pepper to taste, stir until combined. Serve with fresh vegetables.